James R. Holmes and Toshi Yoshihara, “China’s Navy: A Turn to Corbett?” U.S. Naval Institute Proceedings, Vol. 136, No. 12 (December 2010). Chinese navalists have been mixing some Sir Julian Corbett into their Mahanian cocktails lately. That is wise on their part, and something that bears American scrutiny. Some years ago, as China cast about for sea-power theories to guide its naval rise, its attention alighted on the works of Captain Alfred Thayer Mahan, the second president of the U.S. Naval War College and the author of influential works such as The Influence of Sea Power upon History, 1660-1783 and The Problem of Asia. Mahan exhorted nations to amass international commerce, forward bases, and merchant and naval fleets in order to gain commercial, political, and military access to key theaters like East Asia. 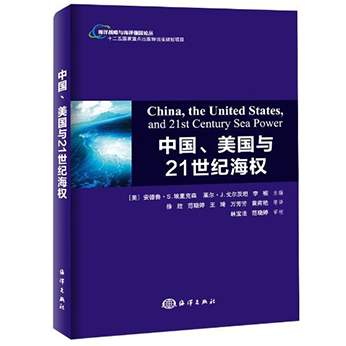 Mahan’s overarching “logic” of sea power remains compelling for many Chinese naval advocates. But in Asia as in the West, his strategic “grammar” of armadas battling for “command of the sea” has an antiquarian feel to it. Progress in naval technology has overtaken much of his “theory of naval strategy and defense,” predicated as it was on armored dreadnoughts and other fin de siècle armaments.